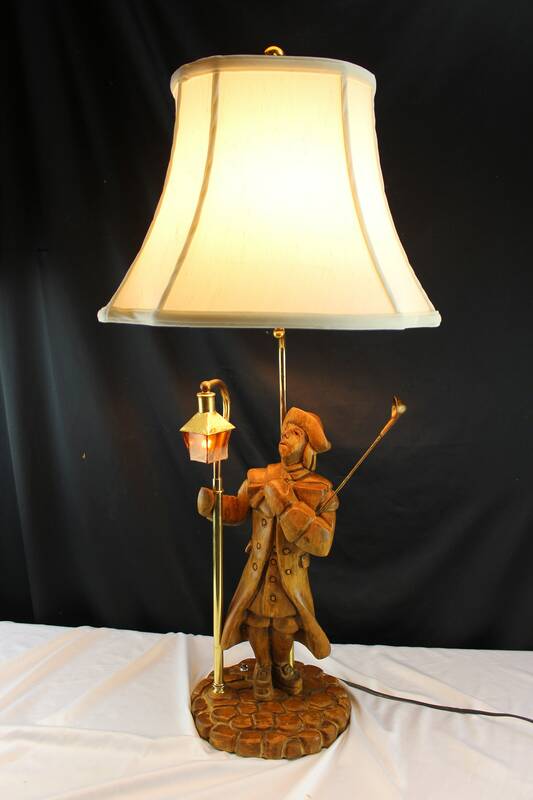 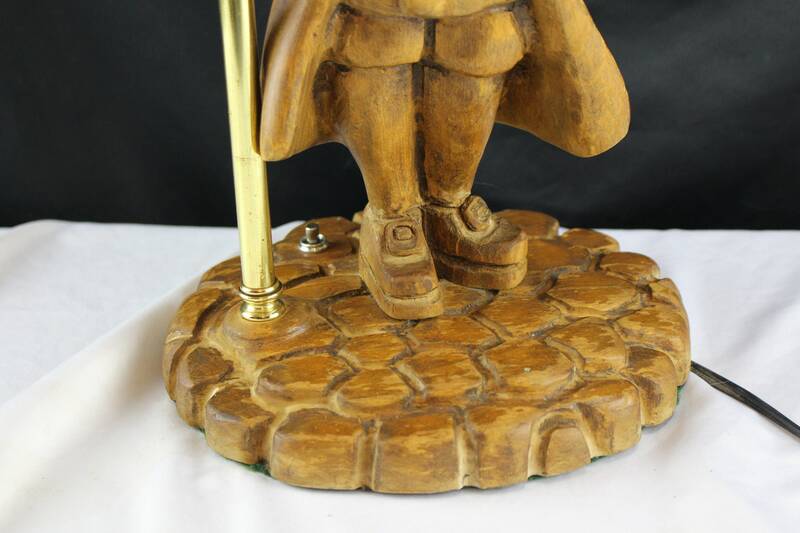 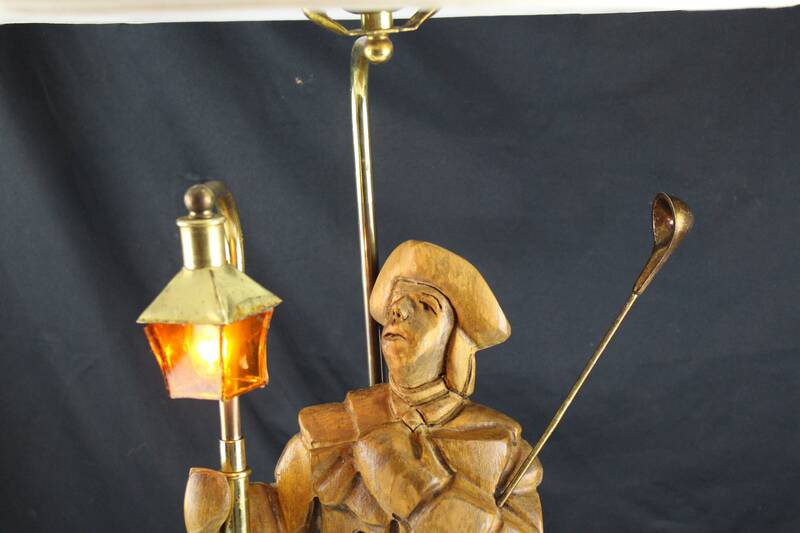 This is a lamp with a man called a Lamplighter from colonial times when street lights had to be lit every night and tended. 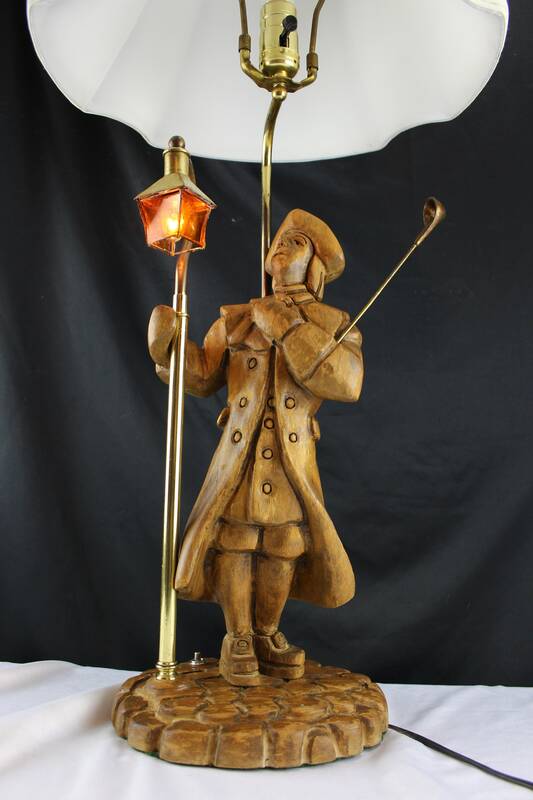 Great looking all carved wood except for the snuffer for putting out the fire he has in this arm. 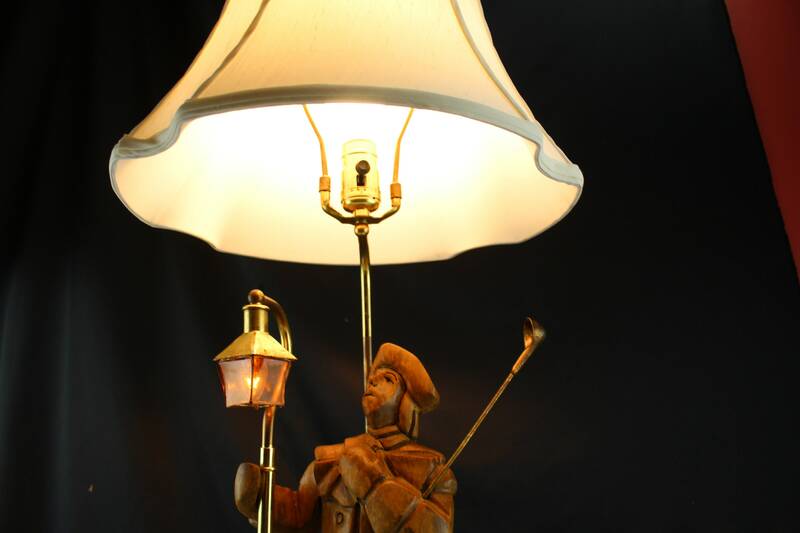 The lamp pole has its own switch on the base and the light has a 3 way switch on the socket. 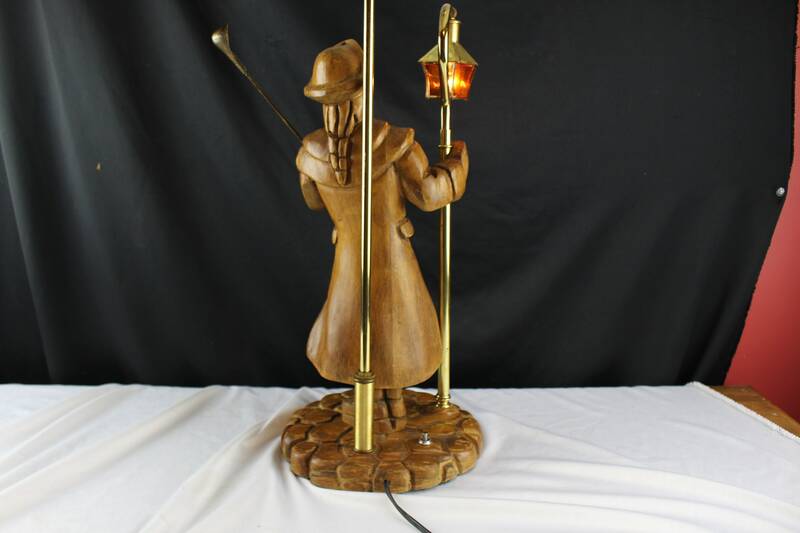 It work great has one piece of plastic missing from the lantern with the night light in it on the back side. 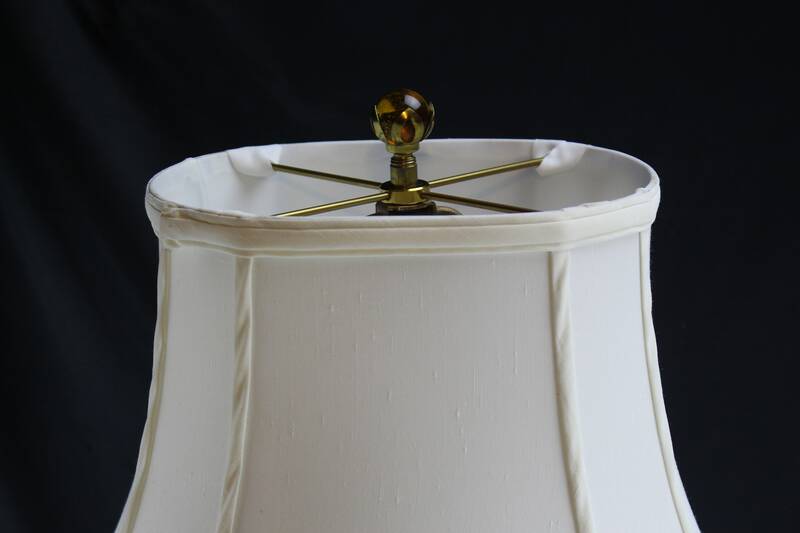 Stands 24" to the socket 32" to top of the glass finial, the shade is 15" wide 13" deep 10" high has nice silk liner come with the lamp.